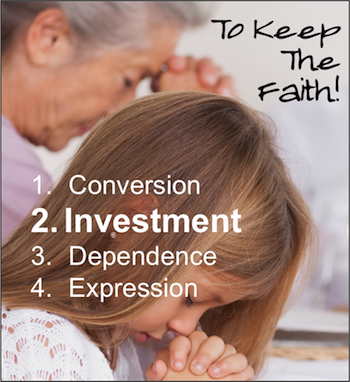 The second area that must be developed in order for our children to keep the faith is investment. They must take ownership of their place within the body of Christ. To do this, adults must learn to be effective mentors. Years ago I wrote the following poem to illustrate the journey a mentor and student must take in order to experience a partnership in investment. He wants to make their spirit soar. But invitation for a walk. The teacher takes position new. The leader is no longer guide. To lessons that are best unsaid. ‘Cause students see with open eyes. In order for young people to make a lasting investment in the church, they must find a functional place within the body. Below is a quick study of Romans 15:1-6 followed by a study of several expressions of worship. After each biblical example, there are questions to help young people identify their functionality within that area. Become the teacher described in the poem above. Take young people to these passages and let them discover their own function and, thereby, make an investment. We then who are strong ought to bear the weaknesses of the weak, and not to please ourselves. Let each of us please his neighbor for his good, to edification. For even Christ did not please Himself; but as it is written, “The reproaches of those who reproached You fell on Me.” For whatever things were written before were written for our learning, that we through patience and comfort of the Scriptures might have hope. Now may the God of patience and consolation grant you to be like-minded toward one another, according to Christ Jesus, that you may with one mind and one mouth glorify the God and Father of our Lord Jesus Christ. 1. “…bear the weaknesses of the weak….” - In the Greek language, the word for bear is bastazein. It is the same word as is used of Christ bearing the cross. How often do you feel the pain of others and struggle under the load of their burden? Practical Suggestion: Adopt an older person and aggressively seek ways to help them with the burdens that come from age. 2. “Let each of us please his neighbor for his good, to edification.” - In the Greek language, the word for edification is oikodome. It literally means the things of building up. How effective are you at encouraging others and building them up? Practical Suggestion: Letter writing is almost a lost art. Put pen to paper! Send cards and handwritten notes to those who need encouragement. 3. “For whatever things were written before were written for our learning….” - In the Greek language, the word for learning is didaskalia. It means teaching or instruction. Fellowship is based upon learning from Scripture and the application it makes in the lives of our family. How effective are you as a learner? Practical Suggestion: Make a list of 5 people you respect. Pretend you are a news reporter and interview them about their life’s journey of faith. 4. “…that we through patience ... might have hope.” - In the Greek language, the word for patience is hupomone. This word means far more than patience. Hupomone is the victorious adequacy with which one can cope with life’s struggles. How spiritually adequate are you? How effective do you use this inner strength to encourage others. Practical Suggestion: Look around you and find a person who is especially beat down by the world. Resolve to make them your friend, defend their worth, and plant hope within their heart. 5. “…that we through ... comfort of the Scriptures might have hope.” - In the Greek language, the word for comfort is paraklesis. It literally means to call beside. Consolation often comes by calling to one’s side an aid or comforter. How effective are you at giving consolation? Practical Suggestion: Even though it is often unpleasant, force yourself to attend funerals in order to comfort those you know. 6. “That we ... might have hope.” - In the Greek language, the word for hope is elpis. Biblical hope is not wishful thinking or playing the odds. Biblical hope is confident expectation. Do you confidently expect the blessings of Heaven? How effectively do you use this confident expectation to encourage others? Practical Suggestion: Talk about going to Heaven with the same certainty and excitement you might talk about the most fantastic of vacations. Read Revelation 21:9-22:5. 7. “Now may the God of patience and consolation grant you to be like-minded toward one another….” - In the Greek language, the words for like-minded are auto phroneo. They mean to think or be minded in a common way. Although fellowship does not demand perfect agreement, it does require harmony. There will always be differences of opinion, but those who are within the bonds of Christian fellowship have solved the problems of living together. They are confident that the unity they have in Christ is far greater than any difference that might divide them. 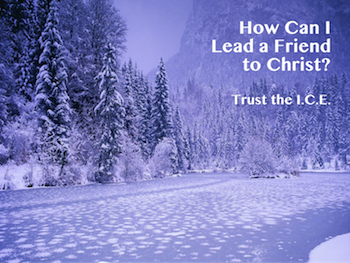 How complete is your like-mindedness with fellow Christians? Practical Suggestion: Practice walking in someone else’s shoes. Consider the journey of others before drawing conclusions. 1. Prayer - In Acts 2:42 (NKJV), we are told that early Christians “continued steadfastly ... in prayers.” In I Thessalonians 5:17 (NKJV), Christians are commanded to “pray without ceasing.” How is your prayer life? Do you encourage the prayer life of others through teaching and example? How would you measure your effective use of this expression of worship? 2. Singing - In Ephesians 5:19 (NKJV), Paul told the early Christians to worship by “speaking to one another in psalms and hymns and spiritual songs, singing and making melody in your heart to the Lord.” Not every Christian can sing with a beautiful voice, but every Christian is commanded to sing. The true effectiveness of singing is not measured by pitch or rhythm but by message and sincerity. How well do you speak to your fellow Christians through song? 3. Study - In the early church, Bible study came in at least three forms: personal study (II Timothy 2:15), through the aid of a teacher (II Timothy 2:2, Hebrews 5:12), and through the aid of a preacher (Romans 10:14-15). How effective are you at personal study, listening to others, and sharing what you know? In II Timothy 1:11 (NKJV), Paul said that he “was appointed a preacher, an apostle, and a teacher of the Gentiles.” In this passage, Paul differentiates between the work of a preacher and the work of a teacher. You should study this distinction further and ask yourself for which you are best suited. 4. Communion - Perhaps the best definition of communion is having a common union. Communion is expressed when people of common faith unite to memorialize and celebrate the death, burial, and resurrection of Christ. In Acts 20:7, we find that the early church met every Sunday to take communion. In I Corinthians 11:28-29 (NKJV), every Christian was commanded to “examine himself, and so let him eat of the bread and drink of the cup. For he who eats and drinks in an unworthy manner eats and drinks judgment to himself, not discerning the Lord’s body.” How much focus and self-examination do you give to the Lord’s Supper each week? How would you measure your effective use of this expression of worship? 5. Giving - In I Corinthians 16:2, Paul gave this command to the church in the city of Corinth: “On the first day of the week let each one of you lay something aside, storing up as he may prosper, that there be no collections when I come.” In keeping with that example, you should consider making weekly donations to the needy and to the work of your local congregation. Under the Old Law, ancient Hebrews were commanded to give 10% of their belongings. What percentage do you give to the Lord? How does your contribution toward God’s work compare to your weekly spending on recreation and entertainment? How would you measure your effective use of this expression of worship? The list above is not complete. Worship can also be expressed through fellowship, service to others, personal change in character, or triumphant endurance over hardship. Worship is a positive acknowledgment of God and it should be part of every moment of every day. Whether worship is expressed in a collective church gathering, as is commanded by God (Hebrews 10:24-25), or individually, as is also commanded by Him (Matthew 6:6), worship is only acceptable when it comes from hearts that are filled with awe. Teach young people to look for God in everything they do and their very life will become an ongoing worship service to Him and an investment in His people. "To Keep The Faith! Dependence: Developing Loyalty to the Spiritual Network"
"To Keep The Faith! Expression: Celebrating Reverent, Relevant, Revealing Worship"
"To Keep The Faith! : Introduction"
"To Keep The Faith! : True Conversion"
"To Keep The Faith! : A Surgery at the Hands of Christ"
"To Keep The Faith! : A Healing from the Holy Spirit"
Back to Top of "Investment: Taking Ownership of Their Place Within the Church"